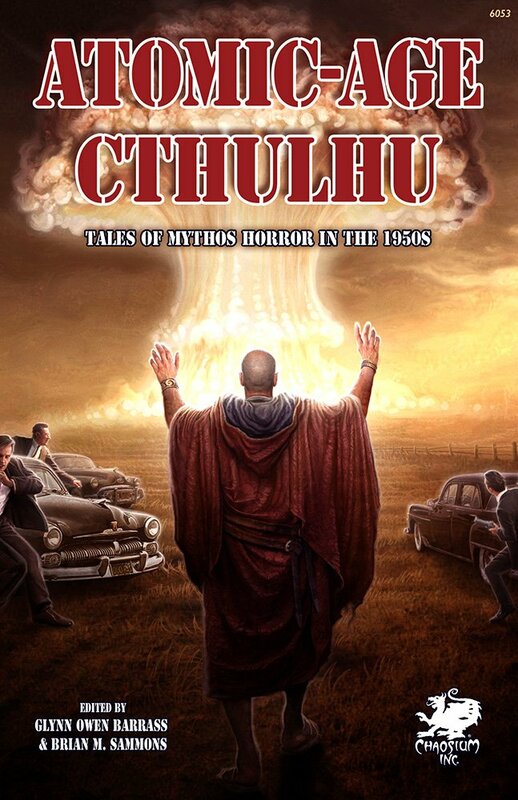 My short story “Yellow is the Color of the Future” appears in the upcoming anthology Atomic-Age Cthulhu from Chaosium Inc. I loved writing this story. I’ve always felt a little connected to Ed Wood. Teaser: THE DECADE OF THE 1950s: while many places in the world are still recovering from the horrors of the Second World War, it is a good time for America. The economy and industry are roaring, the middle class is exploding, and everyone can own their own home. The nation is filled with pride after a hard-won victory. The future never seemed brighter, and yet…never before have we faced a global threat as dire as the atomic bomb. Humanity has always waged war, but now we can eradicate all life on the planet. Educational films promise survival of a nuclear blast. In movies, the classic monsters of the 30s and 40s are replaced by horrors spawned of the atom. Enemies are everywhere, and there are dangers in our midst: devilish rock n roll, morally corrupt books, and sinister comic books corrupt the minds of our youth. The dreaded Red Menace of Communism is poised to overthrow our government and strip-away all of our personal freedoms. Their comrades are everywhere and could be anyone, including your neighbor, your friend, or a member of your family. There are godless Communists spreading across the globe, and they must be stopped by any means necessary! So here you have the world of Atomic-Age Cthulhu, bringing Lovecraftian horror to the postwar Golden Age.